What do we need to know about Iran’s business culture? The majority of Iran’s population speak in the Indo-Iranian language which in itself has a number of different dialects. Some speak in Persian, other in Kirmanji, Luri, Lurs or Baluchi. Around 28% of the Iranians speak in dialects of Turkey. The people of Iran prefer to conduct business or initiate business relationships with those whom they trust, know and respect. It is, therefore, important to establish a good personal relationship before working on a business bond. To make a good impact on your Irani party, dress well stays in an impressive hotel and act agreeable on your first encounters such as accepting tea, being patient etc. First impressions do matter here. What are some negotiation tactics in Iran? Set your meeting appointments well in advance, close to 4 to 6 weeks. Don’t forget to reconfirm your meeting appointments the day before. Ramadan time is to be avoided for any meetings as working hours are limited. and your Irani party will be fasting and unable to offer you the regular hospitality. Except for governmental companies who are mostly conservative, Those Iranian companies who are active in the international trades are very open minded. Your first meeting could be social in nature, a means to get to know you better. There could be multiple things occurring during your meeting; visitors, phone calls etc. Don’t get perturbed. Spare a few hours for your meeting with Irani businessmen. Impatience in the form of looking at your watch or getting fidgety won’t make a favourable impression. Price is an essential component in negotiating business in Iran. Do not get pressured. Iranis can use high-pressure tactics in business negotiations including dramatic actions! Be aware that Iranians can tend to change their minds at the last minute of negotiations, even though there has been an earlier agreement among both parties. Business decisions take time in Iran. What is a contract worth in Iran? Iranian contracts are binding and can be based on free choice of law if created abroad, with certain mandatory provisions of Irani law. If a contract is signed in Iran, it will naturally be governed entirely by Iranian law. Post the lifting of sanctions, the legal framework on which business negotiations and contracts in Iran are based have eased up and are more favourable towards foreign players. There is pressure on food pricing in Iran due to the effect of recent monetary decisions in the country. These have adversely affected the agricultural sector by increasing farmer debts and reducing productivity. Another important determinant in pricing in Iran is oil. 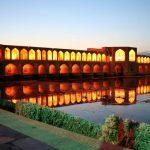 What are the Litigation and Arbitral Laws in Iran? Iran’s legal system is religious in nature and is based on secular and Islamic law. Litigation processes are strict and could be time-consuming. In 1997, Iran adopted an International arbitration law that applies to foreign investors or disputes related to international commercial relations, known as the International Commercial Arbitration Act of Iran. 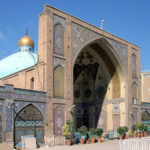 Full fledged implementation of the Arbitration process is yet to manifest in Iran and legal procedures controlled by religious beliefs still dominate Iranian proceedings. Business relations with Iran are initiated by close personal ones based on trust and respect. This may take some effort and it is, therefore, preferable to involve a local affiliate negotiation skills to initiate business discussions and organise initial meetings. For more detailed information on legal procedures, contracts and deeper negotiations, however, utilise the professional services of market experts. This entry was posted in Asia on February 6, 2017 by specialist.